The R.W. 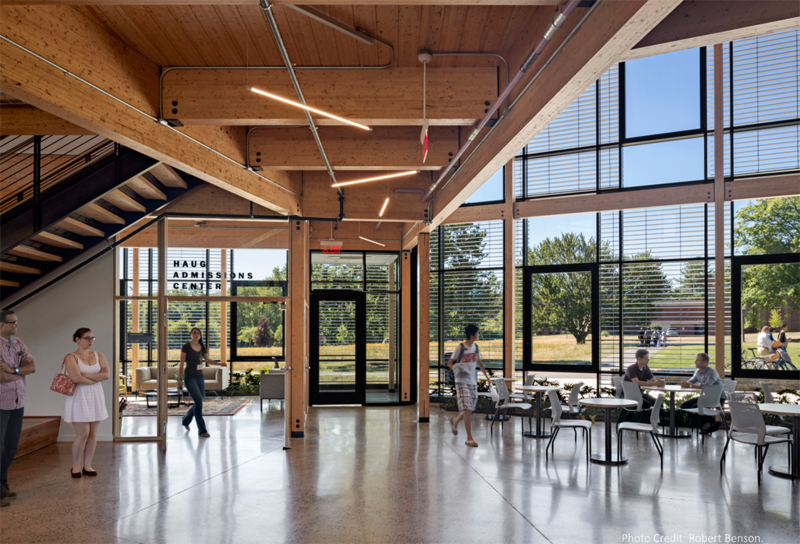 Kern Center at Hampshire College houses the school’s admissions and financial aid offices, classrooms, a coffee bar and a lobby deemed the campus’s Living Room within its 17,000 square feet. 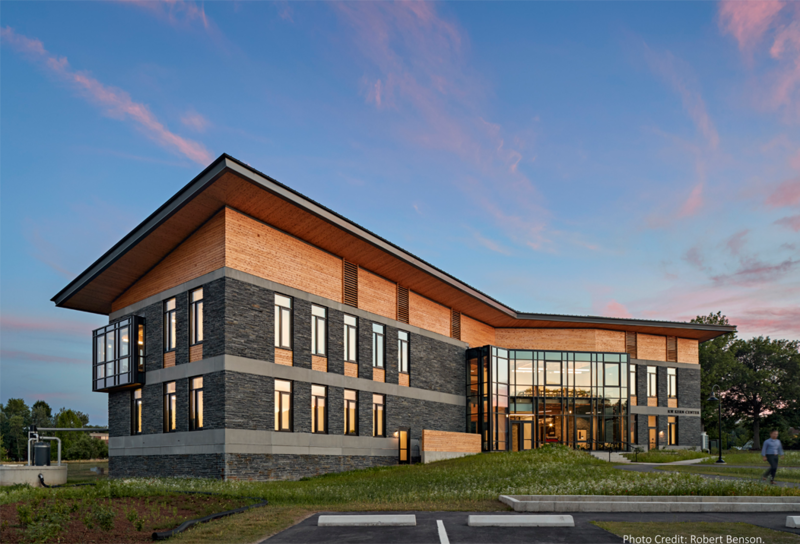 But more than a welcome center to greet visitors and prospective students, the building is an embodiment of the College’s mission to foster positive change in the world. 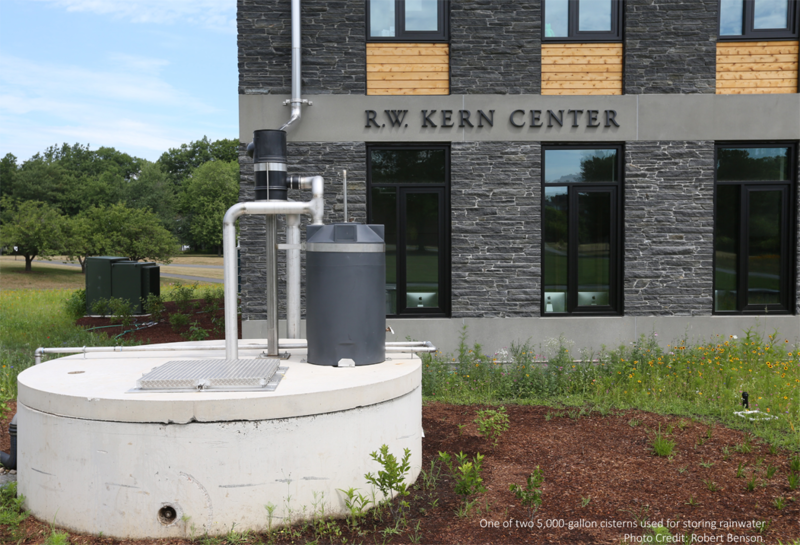 The Kern Center is Hampshire’s first major new building since the campus’s original build-out was completed more than 30 years ago, and is designed to meet the Living Building Challenge certification program. The building produces its own energy, provides its own drinking water, and treats its own waste. 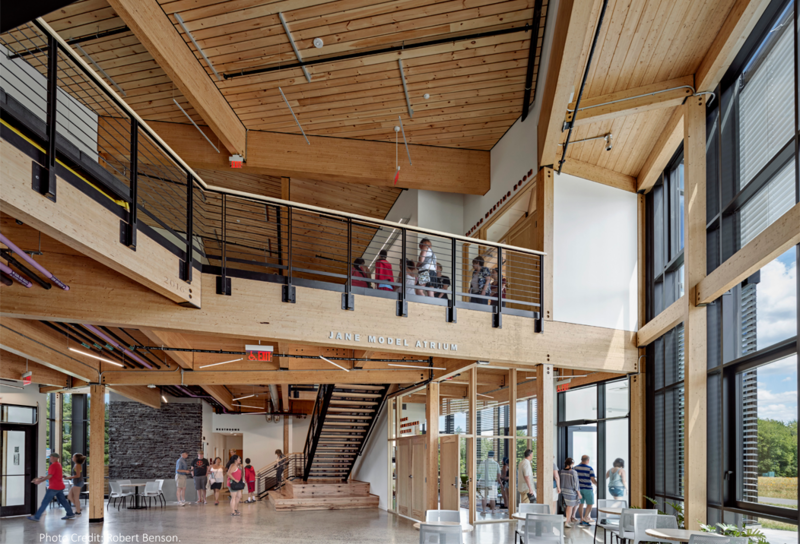 The vast majority of materials used to construct the Kern Center are e regionally sourced and free from toxic “red list” materials. Students and faculty from the College were intimately involved in the planning and design of the project. That relationship continues to this day and several ongoing student (and faculty) research projects are studying components of the Kern Center.